Congratulations, Nigel, on representing the U.S. Team and taking First Place in today's Masters Heat! Quote from the field: "Small waves are my specialty." Well done! The tape measure came out this afternoon at boat inspection when Chris Hobson was found to have non regulation tails. 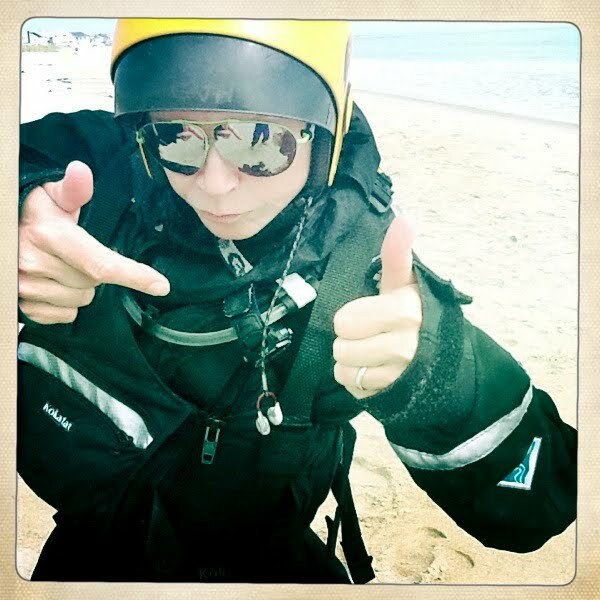 The rules state that all kayaks must be equipped with tails both back and front, that are 20 cm in length, and are at least quarter of an inch thick. A hot favorite to win this year's competition, Mr Hobson was found to be in violation of thickness.! ..Alas, the matter was resolved with thicker rope. The World Surf Kayak Championships start tomorrow in earnest. 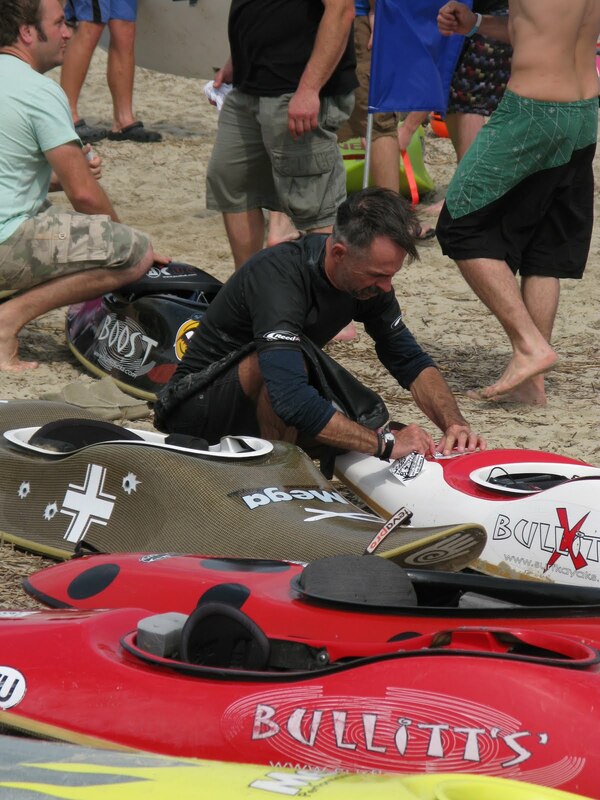 Prior to surfing, all the competitors must have their boats checked by officials from the WSKA. As well as the tails, boats are checked for regulation flotation and correct size...HP or IC. Once inspected, competitors are given a sticker of approval. Let the games begin! Getting some last minute practice lifting the cup. Boat check and parade in the morning ! Zoom Zoom. 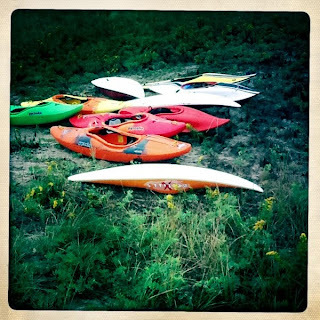 The New Hampshire Surf Camp with Ben Lawry and Nigel Law came and went with the flick of a paddle this last weekend. The camp location was once again Hampton Beach and the HQ was a great New England beach house with it's own boardwalk across the dunes. It's amazing how much New England resembles Old England in so many ways. They have all the old town names, but have added their own pronunciation! The grocery store looks old and tired, and the beaches closely resemble those back home. The weather was great and the Atlantic sea state was, although glassy smooth, just a little on the small side this year. The 1-2 ft waves did provide plenty of opportunity for fine tuning edge control and speeding up reaction time. Surfing is all in the subtleties, and small days can be useful as training days. The waves did not satisfy those looking to make big moves and sweeping, carving turns in long IC boats. Last year's NH surf camp rounded out at 6-7 ft with a 12 sec period, and spoiled us rotten with our expectations of this great little piece of coastline. With a variety of boat styles and skill levels we worked though the moves and ironed out the guts of surfing.. position, timing, and trim. Wednesday we head up to the OBX...Nags Head... where we will keep you up to speed with the latest and greatest in the world of surf kayaking. Word is the surf will be up for this one. 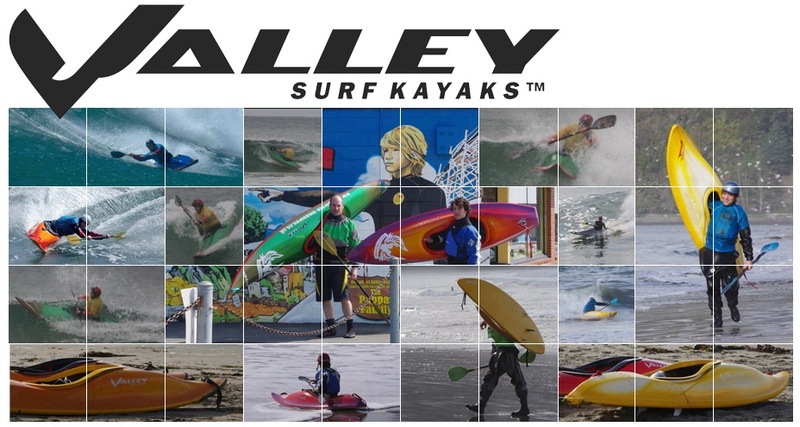 In 1 week's time, the competition to find the world's best individual surf paddler and surf paddle team will commence. 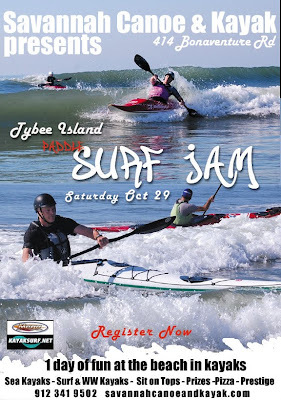 Coming from England, Ireland, France, Portugal, Spain, Italy, Argentina, Brazil, and Australia, over 90 competitors will converge in the OBX for nearly 10 days of extreme coastal paddling. Savannah Canoe and Kayak are excited to be involved with this prestigious and momentous East Coast event in several ways. First off, we are an official sponsor of the event. 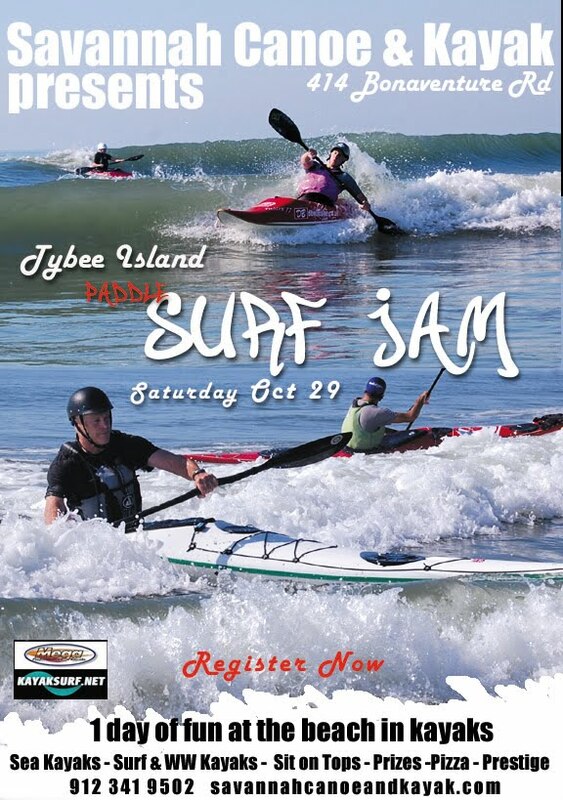 Having a paddling event like this take place right on our doorstep... well, how could we not get behind it? 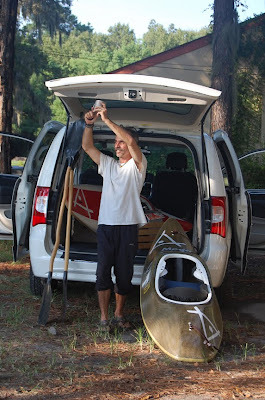 "This is totally brilliant for east coast surf paddling." Second, our very own quarter master and guide, Nigel Law, will be competing in the individual event along side the greatest surfers on earth. And, the same Mr. Law will also be paddling and representing for the U.S. East coast in the team event. So what is it...how does it work, you ask. Well stay tuned to the blog as we will provide updates and insights into this paddlling symposia unlike any other. Here is a brief outline of the event..
Oct 10 - Optional last surf session. Farewell and travel day. We'll be keeping you abreast of Nigel's experiences, his trails and tribulations, in real time, over the 10 days of the event. Our Web pages will be updated this week with all the info, but for now here is the skinny. Categories this year are... Sea Kayak, High Performance, Tandem Sit on Top, and Losers. We may also have a Juniors heat if we get enough interest. Entry fee is $50 and includes lunch, but does not include parking. We will supply the Tandem SoT's. There will be prizes and hopefully another boat giveaway. Space is limited. Register now.